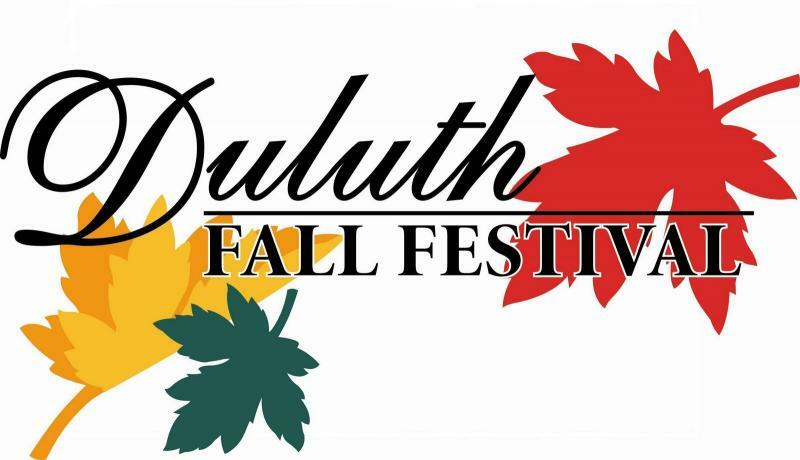 Organized by Duluth Fall Festival, Inc.
Each year, the Duluth Fall Festival welcomes about 25 local acts, including musicians, dancers, magicians, and other performers to share their talent with the thousands of guests who visit the Festival. Performances take place on either of two stages: Festival Center Stage or Parsons Alley Stage. Performers are NOT paid! Performance Length: 30 to 45 minutes* (depending on the complexity of the setup) *Actual time allotment will be determined by the Entertainment Committee Stage Surface: Concrete Email address (preferred method of contact) for audio or video auditions and promotional material: dffentertainment@gmail.com Mailing address (alternate method of contact): Duluth Fall Festival Attn: Entertainment Committee P.O. Box 497 Duluth, Georgia 30096 Entertainment Selection After the July 1, 2019 deadline, the Duluth Fall Festival Entertainment Committee will choose the 2019 acts. Please email us a sound file demo in addition to submitting your application. There is a section in the application where you can give us a web page link for your audition, if you have one available. The Entertainment Committee receives many more entertainment applications than can be accommodated; acts will be selected based on appropriate criteria. All performance inquiries should be directed to the Entertainment Committee. Acceptance Notification Applicants will be notified of acceptance after August 1, 2019. At that time, detailed performance information will be provided. I have read and fully understand all the terms and conditions of this application, and I understand that this application creates a binding contract between me, and any entity through which I shall conduct business at the Duluth Fall Festival (collectively, jointly and severally, the “Exhibitor”) and the Duluth Fall Festival, Inc. By submitting this application, the Exhibitor hereby agrees to abide by all of the terms of this contract, as set forth herein, and by all additional rules and policies imposed by the Festival upon its participation in the Festival, should this application be accepted. The Exhibitor hereby agrees to defend, indemnify, and hold harmless the Festival and its personnel, the City of Duluth (the “City”), all organizations and persons sponsoring, managing, or in any other way participating in the Duluth Fall Festival, from any loss, expense, liability, claim, damage, penalty, or lawsuit in any way arising from the Exhibitor’s involvement or presence, or that of any employee, contractor, or other personnel under the direction of the Exhibitor, at the Duluth Fall Festival. The Exhibitor hereby agrees that all disputes arising or relating to this agreement with the Duluth Fall Festival, Inc. will be adjudicated solely in binding arbitration in Gwinnett County, Georgia with an arbitrator selected by Duluth Fall Festival, Inc., and that the sole venue for disputes regarding this arbitration provision shall be the Superior Court of Gwinnett County, Georgia. An award-winning, two-day, family-friendly arts and crafts festival celebrating the spirit of living in Duluth, Georgia! More than 375 booths sell everything you can imagine, including: clothing, linens, home decor, furniture, jewelry, toys, food,and more. Sponsors present services for improving your life, home, and family. Events include a parade, a 5K road race, and entertainment on two stages. Separate areas contain kids’ games and rides, and a full-fledged carnival. All of this makes the Duluth Fall Festival one of the most successful and highly attended festivals in the southeast.